How To Receive Pictures From Spaaace! The International Space Station, or ISS, has been in orbit in its various forms now for almost twenty years. During that time many of us will have stood outside on a clear night and seen it pass overhead, as the largest man-made object in space it is clearly visible without a telescope. Most ISS-watchers will know that the station carries a number of amateur radio payloads. 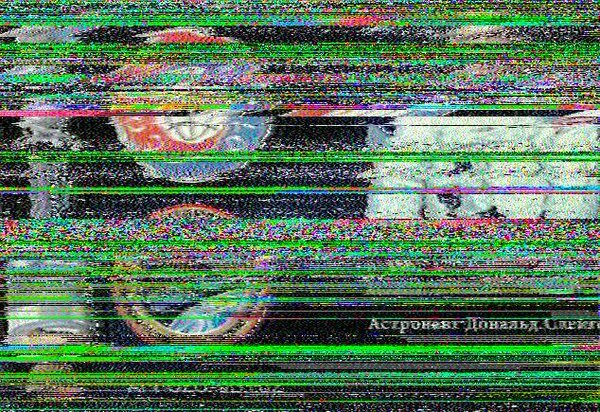 There are voice contacts when for example astronauts talk to schools, there are digital modes, and sometimes as is happening at the moment for passes within range of Moscow (on Feb. 14, 11:25-16:30 UTC) the station transmits slow scan television, or SSTV. You might think that receiving SSTV would be hard work and require expensive equipment, but given the advent of ubiquitous mobile and tablet computing alongside dirt-cheap RTL-SDRs it is now surprisingly accessible. An Android phone can run the SDRTouch software defined radio app as well as the Robot36 SSTV decoder, and given a suitable antenna the pictures can be received and decoded relatively easily. The radio must receive 145.8MHz wideband FM and the decoder must be set to the PD120 PD180 mode (Thanks [M5AKA] for the update), and here at least the apps are run on separate Android devices. It is possible to receive the signal using extremely basic antennas, but for best results something with a little gain should be used. The antenna of choice here is a handheld [HB9CV] 2-element beam. A failed grab from a 2015 transmission, proving that Hackaday scribes don’t always get perfect results. You can find when the station is due to pass over you from any of a number of ISS tracker sites, and you can keep up to date with ISS SSTV activity on the ARISS news page. Then all you have to do is stand out in the open with your receiver and computing devices running and ready, and point your antenna at the position of the station as it passes over. If you are lucky you’ll hear the tones of the SSTV transmission and a picture will be decoded, if not you may receive a garbled mess. Fortunately grabs of other people’s received pictures are posted online, so you can take a look at what you missed if you don’t quite succeed. Even if you don’t live within range of a pass, it’s always worth seeing if a Web SDR somewhere is in range. For example this Russian one for the current transmissions. In that you are using off-the-shelf hardware and software you might complain there is little in the way of an elite hack about pulling in a picture from the ISS. But wait a minute — you just received a picture from an orbiting space station. Do that in front of a kid, and see their interest in technology come alive!